1. Insert FenderMate under the preparation with firm pressure and a slightly downward, curved movement. 2. Slide in the matrix until contact indentation of the matrix is in the optimal position with the adjacent tooth. 3. Insert either from the buccal..
4. or the lingual aspect. 5. Commence shaping with FenderMate still in place. 6. Remove FenderMate using tweezers or forceps. 7. Check for contact point. 8. FenderMate can easily be used with a rubber dam. This preparation provides a wide box. FenderMate creates good contact and prevents cervical overhang under the contact point yet provides excess material on the proximal, buccal side. Most excess material can be easily removed with a carver before curing and then shaped with a finishing diamond. FenderMate Regular Green is easily placed buccally using a slightly downward and curved movement to position the wing of the wedge under the level of preparation. The result is a good natural contact to the adjacent tooth and a tight cervical junction. FenderWedge Small/Orange placed from the buccal aspect gives good protection for fast and safe excavation. FenderMate Regular/Green placed in optimal position for good contact. Any little excess material in the occlusal part of the filling is easy to remove with finishing burs. 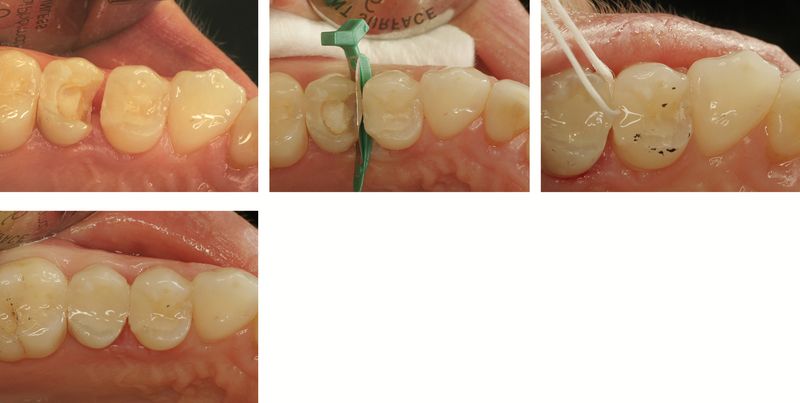 FenderMate Narrow/Light Green is used on these restorations due to narrow proximal space. 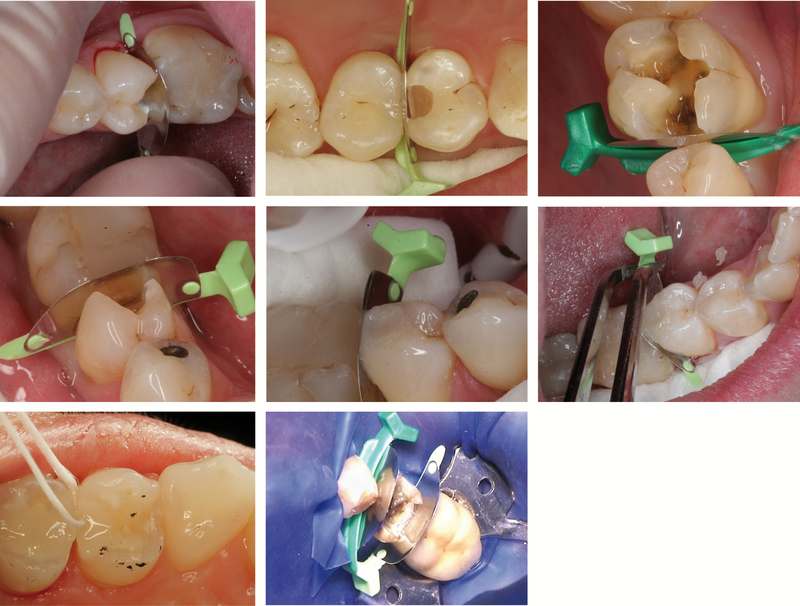 17 MO composite is completed and finished before starting with 16 DO composite. 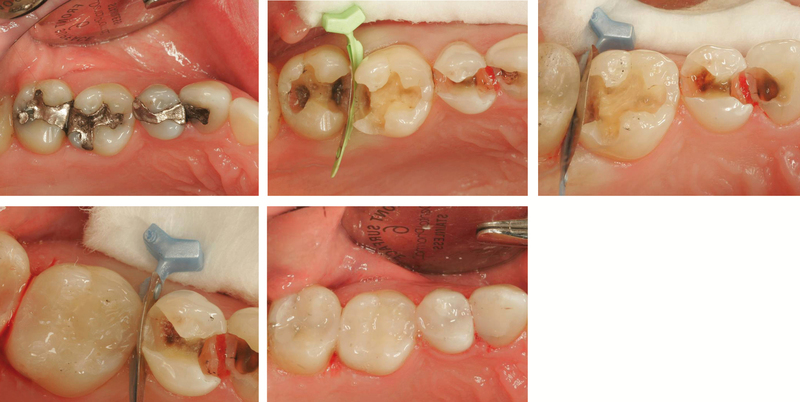 The final photo clearly shows the esthetic result of changing filling material.